She keeps popping on the charts. She joins Lady Gaga as the only female solo artists to top the chart with two singles from a debut album. The mother to be also becomes the only female rapper to go No. 1 twice with any of her singles. 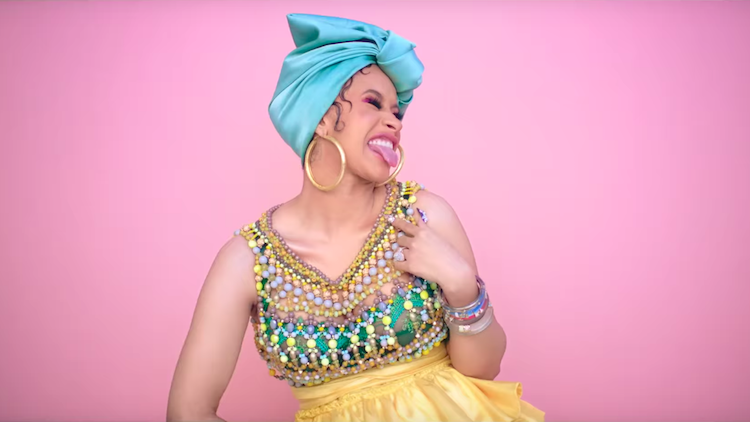 Previously known for appearances on Love & Hip Hop: New York, Cardi B made news when she left the reality TV show and managed to beat out Taylor Swift’s “Look What You Made Me Do” for the coveted Hot 100 top spot with “Bodak Yellow." The monumental feat by a solo female rapper had not been achieved since almost two decades before when Lauryn Hill debuted at the top of the chart with “Doo Wop (That Thing)” in the summer of 1998. “I Like It” features Colombian megastar J Balvin and the up-and-coming Puerto Rican rapper Bad Bunny. It is the fourth official single from her debut album, Invasion of Privacy. Don’t miss out on this song of the summer in the making.